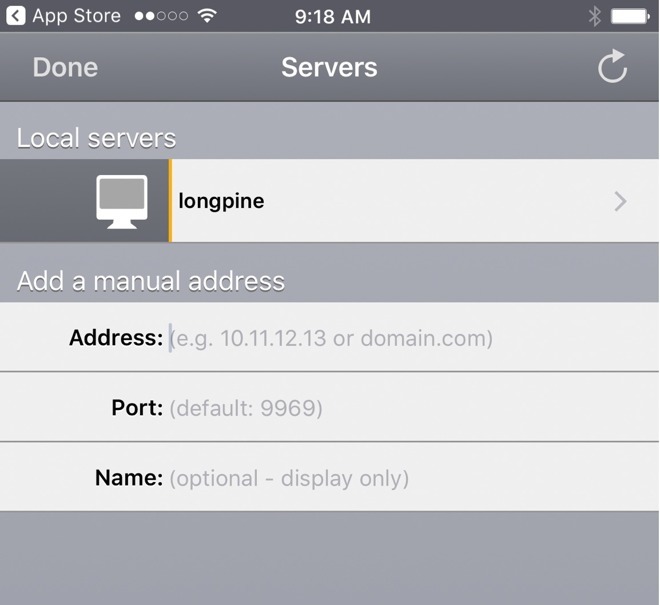 On the Mac, you open ServeToMe, add a source, and press start server. A source can be as wide as an entire drive, include the contents of your iTunes library, or be as discrete as a single file —only the qualifying media files will appear in the server's listings. 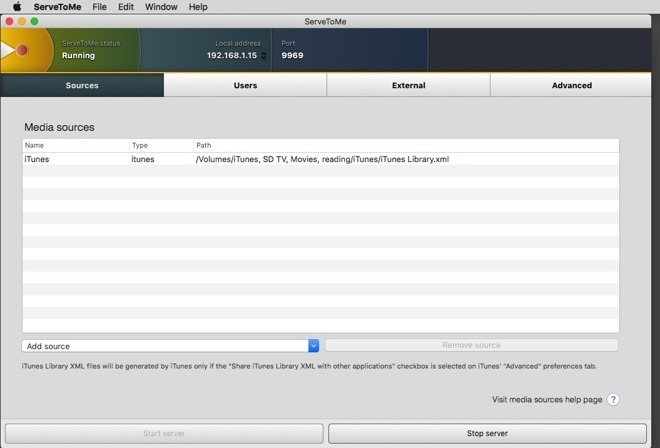 As far as the ServeToMe server component, to transcode to 720p it requires OS X 10.5 or greater, on Core 2 Duo hardware running at 2.2GHz or faster. Any speed i3, i5, Xeon, or i7 CPU will do as well. Windows hardware requirements are similar, with Vista or greater required —but Atom-class CPUs are not supported at all.